Head to Medibank Icehouse to catch Family Happy Hour every Saturday and Sunday at 12pm-1pm. The Happy Hour includes a family rink pass, FREE skate aids and FREE beginner lessons. From the Artisans of Florence who brought you 'The Da Vinci Machines Exhibition' comes the world premiere of 'The Ancient Rome Exhibition: The Empire that Shaped the World'. On loan from Italy, the exhibition consists of over fifty intricately crafted and interactive exhibits on display, transporting you back to a time of mighty heroes, powerful emperors and fearsome gladiators. James Squire Pub has introduced a refreshing new menu which includes exciting additions to the starters, mains, kids and dessert menu as well as a new cider. Chef uses only the finest and freshest ingredients using local produce and showcases a range of hand-crafted beers that are truly enjoyable to drink. 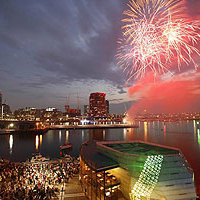 Docklands rocks tonight with roving entertainment and rocking tunes culminating another spectacular Fireworks display. Roving entertainment starts at Waterfront City at 6:30pm with the fireworks display on Victoria Harbour at 7pm. 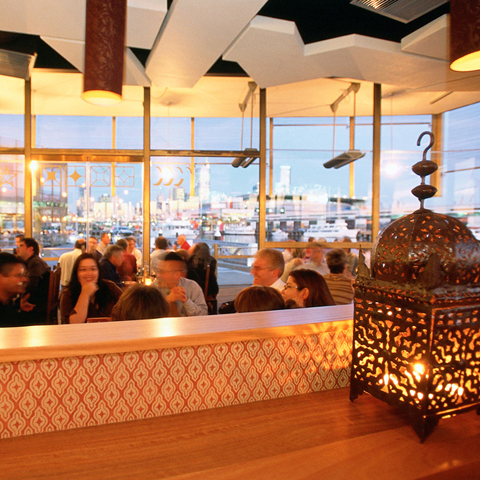 Book a table at one of Docklands many restaurants and make a night of it! Stop number 2 on the Skateboarding Australia Pro/Am tour 2012 with a massive $10,000 up for grabs. Witness Australia's best street skateboarders on Saturday 21st July, doing what they do best! At just a glance, it is clear that some of Australia’s finest street skaters are in the mix. This includes 2012 Pro/Am Stop #1 winner (Blake Harris), 2011 Oz Champ (Tommy Fynn), 2012 Australian Am Champ (Sam Tran) and 2011 Australian Am Champ (Reece Warren). This free event is located at Shed 4, Docklands. Ancient Rome Exhibition - Extended! Due to popular demand the Ancient Rome Exhibition has been extended until 7th October! From the Artisans of Florence who brought you The Da Vinci Machines Exhibition. On loan from Italy, the exhibition is the life work of three generations of Italian master-craftsmen, who have painstakingly brought to life the incredible technology and mighty war machines of the Roman Empire not seen in over two thousand years. OPEN LATE NIGHT FRIDAYS, open until 8.00pm. Friday 20th July : Round 17 kicks off with a Friday night blockbuster at Etihad Stadium between Geelong and Essendon at 7.50pm. Public Gates will open at 5.45pm. Saturday 21st July : Catch the Western Bulldogs vs Carlton game from 7.40pm. Gates open at 5.30pm. $12 Lunches at Grill 66! For just $12 pick up a quick & easy lunch at your favourite steak restaurant in Docklands. Available 7 days. The ever changing menu features weekly specials including steak cooked to perfection, fresh salads, perfect pasta and delicious seafood. Visit Grill 66's Facebook Page for this week's specials. See the sky light up each Friday in July with an amazing fireworks show! The spectacular 10 minute fireworks display begins at 7pm, whilst roving entertainment will keep you amused along the promenade in the lead up to each display from 6.30pm. Select a ringside seat at one of Docklands waterfront restaurants for uninterupted views- Choose from casual dining and family friendly venues to fine dining and relaxed pubs. There’s something for everyone. Do some shopping for yourself then take the kids to a free fun activity- there is plenty happening at Harbour Town this winter! The fun includes fresh snow for the kiddies to play in, Ice Age 4 craft workshops and an animal farm! Come down to Icehouse and join in the pirate school to help SID and SCRAT from Ice Age 4 find the hidden pirate treasure. The show runs twice daily over the school holidays. After the show you can even meet the Ice Age characters. Have your photo with them to take home and show off to family and friends. 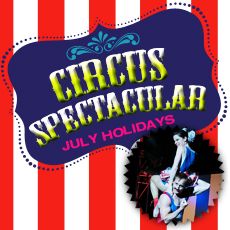 Bring the family to Wonderland Fun Park this winter school holidays to see the Circus Winter Wonderland Spectacular featuring Australia's circus superstars! This is an entertainment extravaganza unlike any other with juggling, strong-man feats, flying acrobatics and aerial delights. 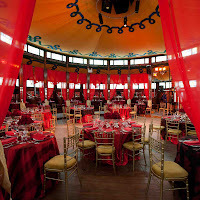 The show is in the amazing new venue, Wonderland Spiegeltent. Looking to warm up on your lunch break? Get out of the cold and into these great deals. Enjoy a tantalizing feast on your lunch break this Winter! Mecca Bah is serving a Turkish Kebab express weekday winter lunch- Choose your favourite skewer type (seafood, chicken or lamb) and salad, served with warm pita bread and your choice of drink for $18. Available Lunch, Monday-Friday. 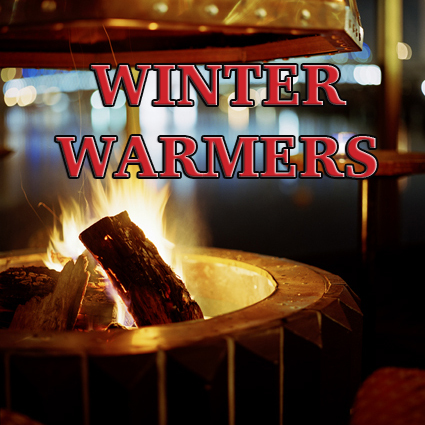 Cosy up by the open fire on the leather couches and enjoy a classic Winter warming dish at James Squire hotel. 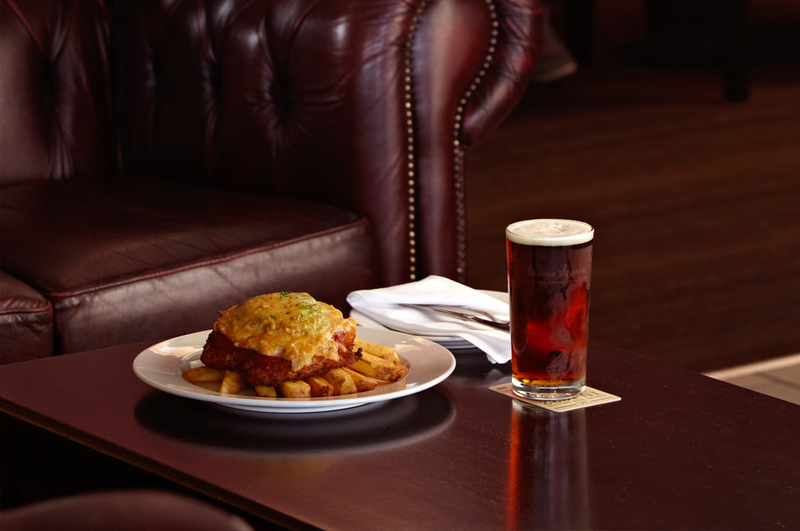 Enjoy their ‘Pie of the Day’, teamed with a hand crafted James Squire pot of beer for just $19. Available Lunch, Monday-Friday. Sizzling steaks straight from the grill are sure to warm you up this winter at Grill 66! 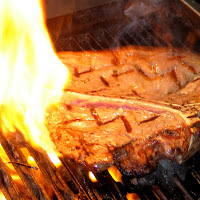 Enjoy a Porterhouse steak, flame grilled to perfection plus a glass of wine for just $25! Available Lunch, Tuesday-Friday. Enjoy a feast of Fish & Chips and a glass of wine for just $25 this Winter! Available Lunch, Monday-Friday. It’s school holiday time! There is no place better to keep the kids entertained than in Docklands this Winter with plenty of fun events happening for all ages! Do some shopping for yourself then take the kids to a free fun activity- there is plenty happening at Harbour Town this winter! 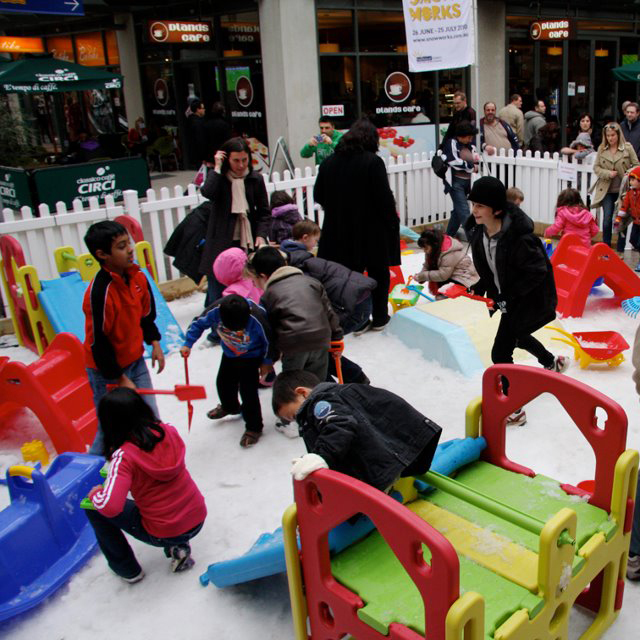 Rug up the kids in their winter woolies and get ready for some play time in the snow! Every day in July Harbour Town will be making fresh snow for their snow play centre. Where: Between Esprit Hair & Beauty and Dlands Cafe. The kids are invited to join us in the world of pirates in these fantastic and FREE craft workshops. They'll put their creative skills to the test in making their own Ice Age 4 pirate ship or pirate hat to take home after. The popular Animal Farm is back these School Holidays, so come down to meet all of your furry friends! Have the coolest time at the home of winter in Melbourne. Throughout the school holidays, Medibank Icehouse will be transformed into a glittering winter wonderland, with loads of fun activities for the whole family. 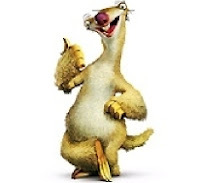 Come down to and join in the pirate school to help SID and SCRAT from Ice Age 4 find the hidden pirate treasure twice daily over the school holidays. After the show you can even meet the Ice Age characters. Have your photo with them to take home and show off to family and friends. Bring the family to Wonderland Fun Park this winter school holidays to see Circus Winter Wonderland Spectacular featuring Australia's circus superstars! This is an entertainment extravaganza unlike any other with juggling, strong-man feats, flying acrobatics and aerial delights. All this, live in the beautiful (and warm!) Wonderland Spiegeltent. See the show and ride all day on family favorites like the Dodgem Cars, Bungee Jump Trampoline, Grand Carousel, The Dragon Flyer, Giant Slide, Tea Cups, the Worm Roller Coaster and our NEW attraction - Walk on Water Balls. 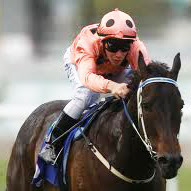 Can Black Caviar continue to amaze with his incredible winning streak? This Saturday the 23rd, Black Caviar attempts to make 22 consecutive wins at Royal Ascot in the Group 1 Diamond Jubilee Stakes. Head to James Squire Hotel to watch the action live on the big screen and cheer on the racing legend! Coverage begins at 11pm, whilst the big race is at 12.45pm. Etihad Stadium will be surrounded with footy fans this weekend with matches being played on both Saturday and Sunday. On Saturday, the Western Bulldogs and Brisbane Lions will battle it out at 1.40pm. 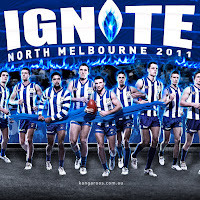 Sunday’s action will involve North Melbourne taking on the Adelaide Crows. Looking for some lunch ideas before the game? 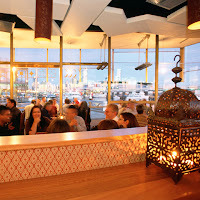 Check out Docklands Melbourne for some winter warming restaurants nearby. This Sunday head down to Harbour Town to meet your favourite kangaroo players from the mighty North Melbourne footy club! Kids can enjoy footy clinics and the chance to meet the North mascot, Kanga. 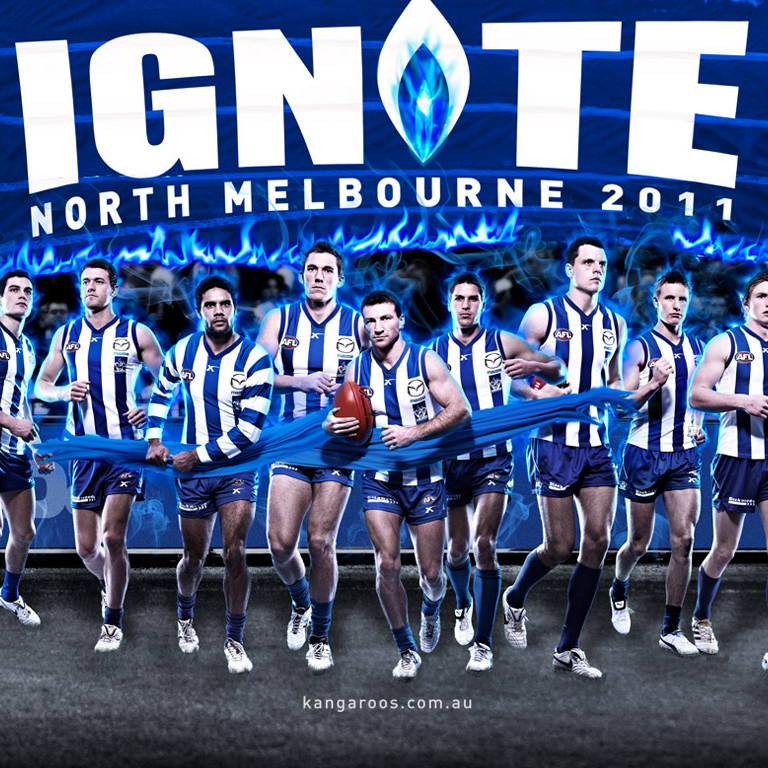 Supporters can also go into the running for a North Melbourne signed football by making a banner featuring your favourite Roos player! After the event, it’s a short walk over to Etihad Stadium to cheer on the mighty Roos against the Adelaide Crows! If you’re looking for a weekday lunch special to cure those winter blues, head down to Livebait and enjoy this great deal: Fish & Chips plus a wine for just $25! Take in the uninterrupted views of the water and city and enjoy lemon crumbed fish, served with truffled fries, gribiche- regularly $36! A complimentary glass of house wine sweetens the deal even more. When: Valid until 31st August, Monday-Friday, lunch only. The perfect opportunity to experience the magical new venue that is the Wonderland Spiegeltent is here! Tomorrow night the tent will be filled with laughter as UK comedian, Jeff Green hits the stage! Trivia nights still remain as one of the best pub traditions around! A great excuse to catch up with friends on a regular basis for a bite to eat, a few sneaky mid-week drinks and of course plenty of fun! Head to James Squire Hotel every Wednesday evening for a guaranteed great night. Prizes are of course up for grabs too- win yourself and your team beer tastings and vouchers! Enjoy a tantalizing feast with your colleagues on your lunch break this Winter! For $18 you can enjoy a Mecca Bah style Turkish Kebab- Choose your favourite skewer type (seafood, chicken or lamb) and salad, served with warm bread and a drink. Available for lunch Monday-Friday. “We tried the new lunch kebab menu and loved it. The chef said today was the first day and wanted to hear some feedback...same thing I told her, it was amazing. Food was outstanding and well presented, proportion is just perfect. You get salad, bread, dip, 2 kebabs. We had chicken and seafood and shared. Chicken was so tender and seafood (prawn and fish) was spicy but well balanced. $18 was totally worthy for this amazing lunch. It also included a glass of house wine. I finally found a good lunch place that I can enjoy with my work mates. This Saturday night Etihad Stadium will see the the Australian Wallabies take on Wales in a test match sure to keep you on the edge of your seats. The two sides have a developing rivalry, which intensified following Australia's victory over Wales in the recent World Cup bronze final. Looking for a bite to eat before the match? You can’t go wrong with a juicy steak to fill you up at Grill 66 Steakhouse. When: Saturday 16th June, gates open 6pm for an 8pm start. 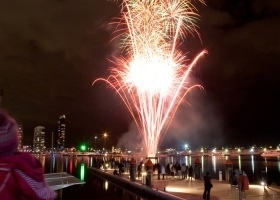 Winter is here, but that doesn’t mean the fun stops at Docklands! Take a look at what’s coming up! Etihad Stadium will tonight see a Friday night showdown with St Kilda taking on Richmond. The Tigers are yet to beat the Saints since 2003- will tonight be the night Richmond comes out on top? Looking for a bite to eat before the game? Grill 66 is just a short stroll away from the stadium, and boasts a menu full of flame grilled steaks. If you’re up for the challenge, try to take on the Grill 66 “Bigger than Ben-Hur” Burger - Twin meat patties with iceberg, char grilled capsicum, kasseri cheese, pork belly crisps, onion jam, dijon mayonnaise and fries! When: Friday 1st June, 7.50pm. 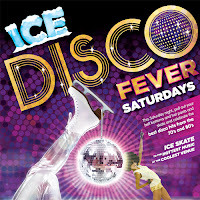 Saturday Nights at Medibank Icehouse are as fun as they get! Let your inner diva out as you boogie on down to all the classic hits of the disco era. Pull out your bell bottoms, afro wigs, hot pants and 70’s dance moves - it's all about dressing up and getting into the groove! Break up the week with a few drinks, great food and lots of trivia fun! Grab a team of friends, family or colleagues and test yourself with trivial questions from music, sport, popular culture and general knowledge. A $50 voucher as well as beer tasting paddles are up for grabs for the winning teams on the night. This is the official blog to promote the Discover Docklands campaign. You can find all the latest news, events taking place in the Docklands, including its restaurants, cruises and shopping outlets right here.